Guest contributor Jonathan Stevenson / The view that the 1970s were culturally under-appreciated is now so firmly entrenched that they no longer are. 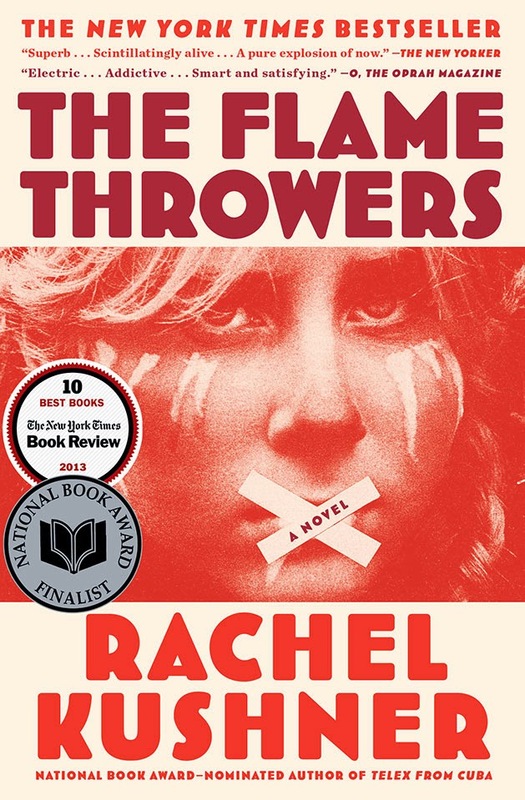 With respect to the New York art world, Rachel Kushner’s audacious novel The Flamethrowers, set in 1975, amplifies the point by linking that percolating milieu with the full-boil political scene in Europe, where homegrown terrorism in half a dozen countries made the stateside Vietnam protests, Weather Underground operations, and Black Panther provocations of the 1960s look like high school pranks. At a time when artists were beginning to realize that action and process could equal content, woman-child Reno heads to the Bonneville Salt Flats to make a land drawing with her motorcycle. She ends up setting the female motorcycle speed record, showing up her male artist friends in New York, whose sexism allows them to acknowledge her feat only with envy and condescension. With the help of her older boyfriend Sandro – a preening Italian artist and heir to Moto Valera, the company that makes her bike and is a Red Brigades target – Reno parlays her niche celebrity into a fledgling career as a filmmaker and photographer. Through Sandro the mysteries of art and the unsettling power of political violence come together. When she and Sandro visit his wealthy (and dysfunctional) family in Italy she asks herself why the Red Brigades’ shoddily drawn pentagram that she sees everywhere seems more threatening than a precisely drawn one. “It was the hand’s imperfection that made it menacing, I decided. But why that was, I didn’t know.” Kushner is deft enough to leave the thought there, as a spur rather than a snare. This full disclosure tinges Sandro’s childish reverence for the flamethrowers with pity. Similarly, after their inevitable breakup, hearing the long roster of Sandro’s infidelities throttles Reno’s wistfulness into outright anguish. This is all testimony to how the full range of facts occlude any singular or pristine vision of the world, and thus to the substantial “uselessness of the truth,” which has only taught Reno how not to trust people or impressions. The truth is mainly awful, and mistrust is simply a tool of survival. But Kushner reaches the hard-earned conclusion that, as “a technique for inhabiting the world” and “for not dissolving into it,” making art keeps brighter possibilities of enlightenment alive. Previous Previous post: Roberta Smith on "current painting tactics"